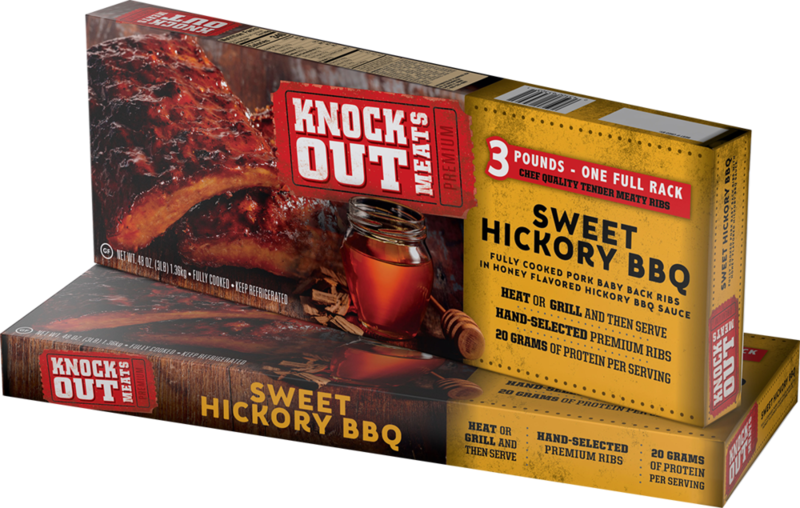 Get ready for mouthwatering, knock-you-out flavor. We carefully hand-select only the meatiest ribs with the most delicious signature spices for our dry rub. Then, we add just the right amount of tasty sauce for bold, unapologetic flavor. Our tender ribs are chef-quality and already cooked to perfection. So you can spend less time in the kitchen and more time in the moment. Hand-selected, baby back ribs, slow cooked for premium taste. Full flavor with no artificial preservatives or ingredients. Ready to heat or grill.